What To Do On Joining? Q1.Explain why piston crown thickness is governed by both thermal and mechanical stress considerations. (a) proper piston diametrical clearance is essential in diesel engines. (b) pistons are usually tapered on top of top piston ring groove. (a) factors govern the position of top piston ring. (b) functional purpose of wear ring on large piston. Q5 (a) State the main indications of piston running hot. (b) Explain the likely causes of piston running hot. (c) State with reasons, the immediate steps to be taken if pistons run hot. Q6 (a) Identify with reasons, the areas requiring special attention during inspection of piston. (b) State the main factors leading to piston crown burning and cracking. (c) Explain the repair procedure of cracked piston crown. 1. (a) suction filter should be kept clean. (b) correct top end, bottom end and main bearing clearances should be maintained. (c) suction & discharge valves need regular attention. (d) intercoolers should be kept clean. 2. (a) air compression is preferred in stages. (b) intercoolers are fitted in multi stage compressors. (c) clearance volume should be as small as possible. (d) multitubular air coolers are preferable to cooling coils. (e) synthetic oil is preferred. (a) muffling air intake filter to reduce flow rate. (b) replacing copper bursting discs with those of greater thickness of steel. (c) increasing the supply of cylinder oil to seal worn rings. (d) use of straight mineral oil. 4. (a) State what routine attention is required whilst the compressor is running. (b) Identify the common faults to which compressor is susceptible. (c) Describe how these faults are prevented and rectified. (a)sketch in detail the manner in which mountings are attached to the shell. (b) explain with reasons the areas require special attention. (c) differentiate between the specific functions of relief valves and fusible plugs. 1.Explain the difference between the connecting rods of large slow speed and medium speed trunk type engines. 2. (a)Explain why bottom end bolts particularly in medium speed engines are prone to failure under normal conditions. (b)Describe with the aid of simple diagram, the bolt design features in modern engines which inhibit failure. (c)Explain how this tendency can be minimised by proper maintenance. 3. (a)Identify with reasons the main areas which require special attention during bolt inspection. (b)Explain why con-rod bolts require special attention and renewal if particularly a 4-stroke engine inadvertently over speeds. (c)Explain why modern engines use high UTS bolts. 1. (a) Explain the functional purpose of compression rings and scraper rings. (b) State with reasons the clearances to be maintained in piston rings. 2. (a) Explain the meaning of "scuffing" as applied to piston rings. (b)State how the tendency of piston rings to scuff is reduced in practice. 1. (a)Explain how the variation of torque takes place in a diesel engine camshaft and explain how it effects the camshaft drive. (b)Describe the constructional features of camshaft and explain how cams are accurately mounted on the camshaft. (c)Explain the effect of worn camshaft bearing or loose camsaft bearing bolts in large engine. 2. (a)Explain with reasons why chain adjustment becomes necessary after prolonged service. (b)Describe with suitable sketch how chain tightening is carried out. (c) Explain with suitable diagrams the effect of chain adjustment on engine operation and how is it corrected? 3. (a)Explain the causes of chain vibration. (b)Describe the routine inspection to be carried out for various components of chain drive. (c) With a detailed sketch of a chain link, indicate the points of failure generally occur. 1. (a) Explain the principle forces acting on the crankshaft of large diesel engines. (b)State how resulting stresses are kept within reasonable limit. 2. (a)Explain why solid forged crankshafts are sensitive to misalignment and require special attention. (b)What are the merit and demerits of semi-built crankshaft in comparison to solid forged crankshaft. 3. (a)State the limitations of taking bridge gauge reading for main bearing wear measurement. (b)State the checks to be made prior taking crankshaft deflection of main engine. (c)Describe the correct procedure of taking crankshaft deflection reading and how do you interpret it. (d)Identify with reasons the areas of crankshaft require special attention during inspection. 1.Describe with the aid of simple diagrams the design features of modern large engine cylinder liners that are reinforced to take up high thermal and mechanical loading. 2.What are the factors that limit the metal temperature of cylinder liner? 3.Why the cooling water holes in bore cooled cylinder liners are drilled in a slight diagonal instead of vertical. 5.Explain how cylinder liner wear is measured and recorded for reference in future. 6.Discuss method of determining if cylinder liner has reached the end of useful life. b. Abnormal cylinder liner wear. 9.Discuss the position of lube oil quills and features that assist in spread of oil with respect to timing of oil injection. 10.Discuss why correct timing of cylinder oil injection is critical with respect to piston position, speed and direction to reduce adhesive and corrosive wear. 11.With the aid of simple diagram, describe the main design features of modern cylinder lubricator system. 1.With the aid of simple diagrams, describe the main features of holding down arrangements of a modern large main propulsion engine. 2.Identify with reasons the two most heavily loaded part of large engine structure. Describe how such parts have been strengthened for satisfactory operation. 3.Explain the main functional purpose of (i) Longitudinal Girder (ii) Cross Girder and (iii) Bearing saddle. Describe the constructional features and materials used in these essential bedplate components. 4.”Bedplate cross girder along with the bearing saddle of large main propulsion engines is of steel casting in all most all engines”. Justify with reasons. 5.Why bedplates are secured on chocks instead of direct installation on tank top? 6.With reference to modern holding down arrangements of large main propulsion engines, explain why holding down bolts are free through the tank top, padding, chocks and bedplate. 7.With reference to modern holding down arrangements of large main propulsion engines, explain why holding down bolts are long and made of high UTS steel. 8.Explain why many modern engines adopt epoxy resin chocking arrangement. 9.With the aid of suitable sketches, describe a non-metallic chocking technique for main engine, explaining how such a system is installed. 10.Explain the functional purpose of tie bolts. 11.Describe how tie bolts are pre-tensioned in modern engines. 12.Describe how it can be identified whether or not tie bolts are slack in a running engine. 13Compare and contrast cast and fabricated construction of frames with particular attention to merits and demerits. 14.Explain how frames are more heavily loaded in large crosshead type engines in comparison to trunk type engines. 15.With the aid of simple diagrams, explain the direction of forces in the guide / guide shoe of a large engine during compression & expansion strokes. 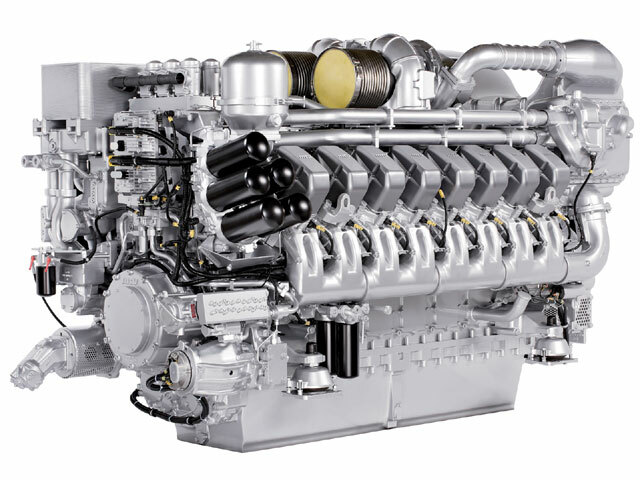 16.State why top bracing is sometimes provided for large diesel engines. 17. Describe with the aid of simple diagrams, the various types of top bracing arrangement to secure the top part of a modern large engine. 18.State briefly the regular maintenance that needs to be carried out for proper functioning. SANJAY SWAIN. Powered by Blogger.